I often wonder about the amount of wisdom that filters through our lives unused. The stories untold, the knowledge unshared, the information that is left under-utilised. All of our communities feature hundreds of people who have a major contribution to make to the betterment of life, yet there is often no facilitation of this expertise. 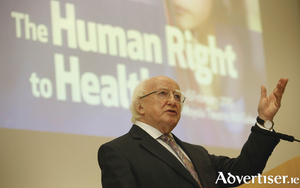 Uachtarán na hÉireann, Michael D Higgins, has "represented Ireland brilliantly abroad", and in his values, ideals, and vision, is what is needed now at home and abroad, during this era of political turmoil and the rise of far-right populism on the continent.